Inspire people to become climate action heroes in the fight against global warming! Did you know 2016 was the warmest year on record? Increased carbon dioxide and other human-made emissions into the atmosphere are the central cause. The burning of fossil fuels used for transportation accounts for nearly one third of all greenhouse gas emissions. Our communities and our planet are cooking in the exhaust of our cars. Luckily, research suggests that it is possible to not just slow climate change but to even reverse it! With clean and renewable energy sources on the rise, the electrification of these vehicles is one of the most promising ways to significantly reduce our carbon footprint and cut greenhouse gas emissions. 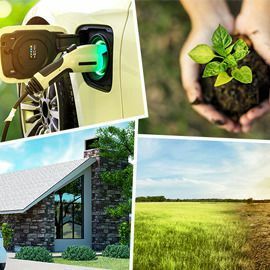 Aside from making electric cars more affordable, how can we influence more drivers to adopt electric vehicles today for their everyday transportation needs and start making positive impact now? In what ways can we inspire more drivers to choose low carbon passenger vehicle options? Create new solutions that help automakers accelerate the adoption of electrified vehicles by making the positive impacts of EVs more compelling. Entries will be accepted till July 22, 2018 23:59 UTC!